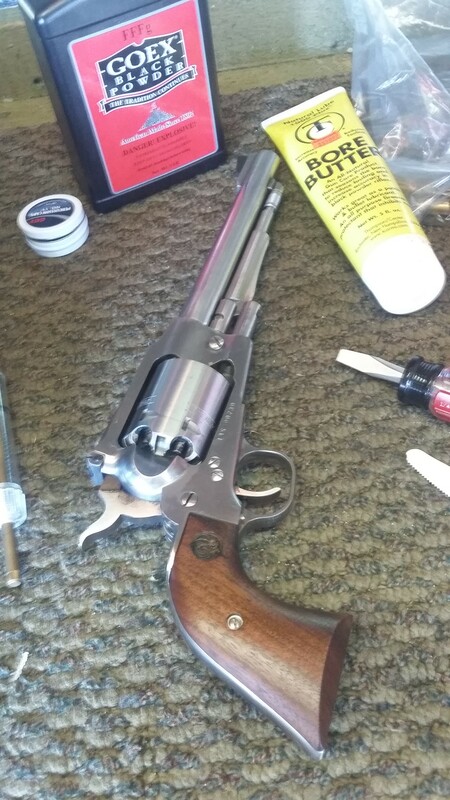 Good looking revolvers Jay. 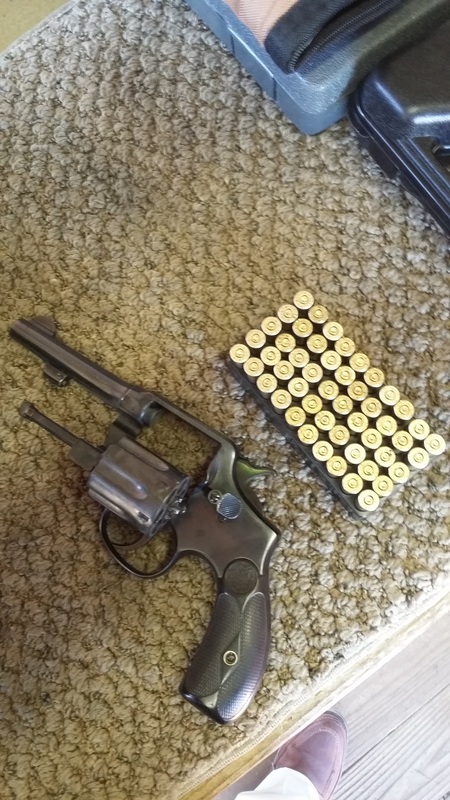 I would like to find a nice 44Spl. some day. Either a Colt or Smith. I have a couple S&W hand ejectors--one a Model 1902 (made in 1902) and a Model 1905 (made in 1924) that are my favorite 32-20s. Though they are not SAAs, these pre-Mod 10s are very fun to shoot those same 115 gr hard cast/2400 loads. 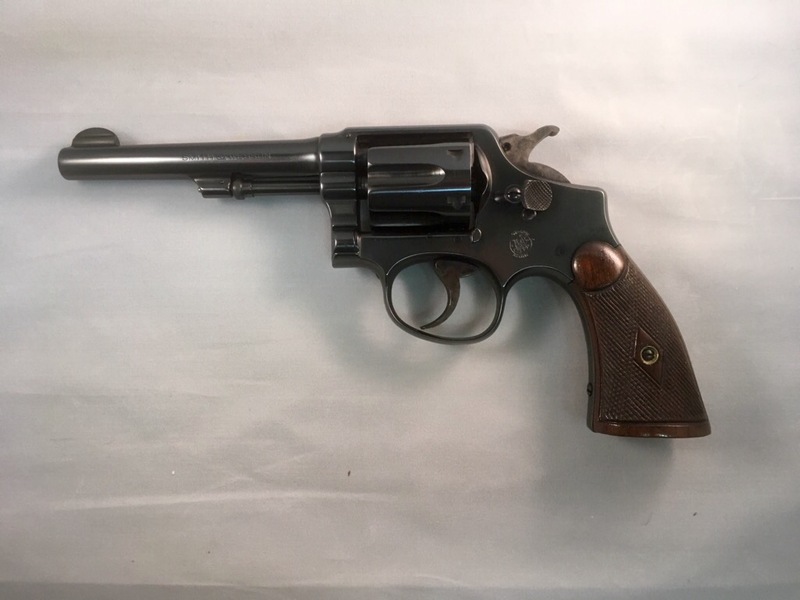 They are very special to me since they are originals----its really too bad that S&W has not chambered a revolver in 32-20 since the WWII years. Last edited by Ret_Eng; 04-15-2019 at 10:08 AM. dhansen, rob42049, edcknives and 2 others like this. 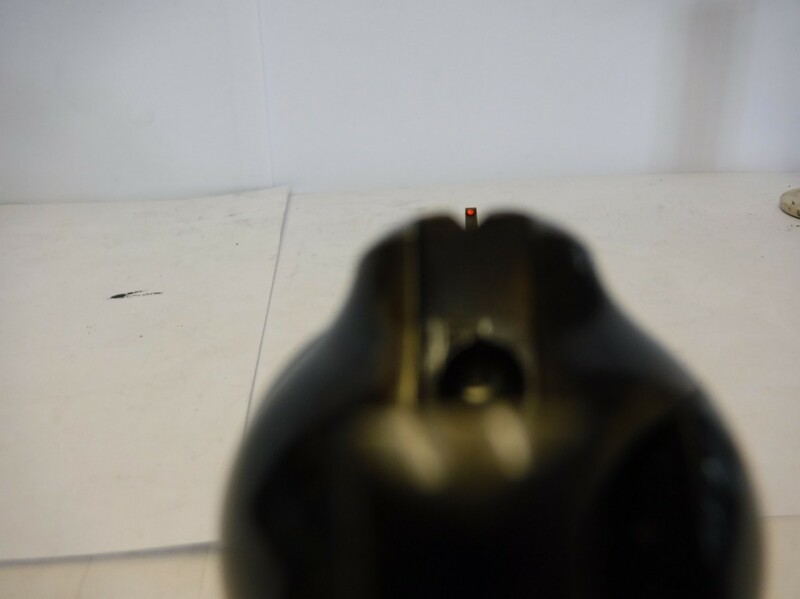 We'd better start posting favorite .45 Colt loads. The El Patron is fixed sight, so load development means loading to make the hits go where aimed. Part of the rewarding fun of shooting SAA. Powder charge, bullet weight/alloy/profile/lube will move the POI around. Another science. 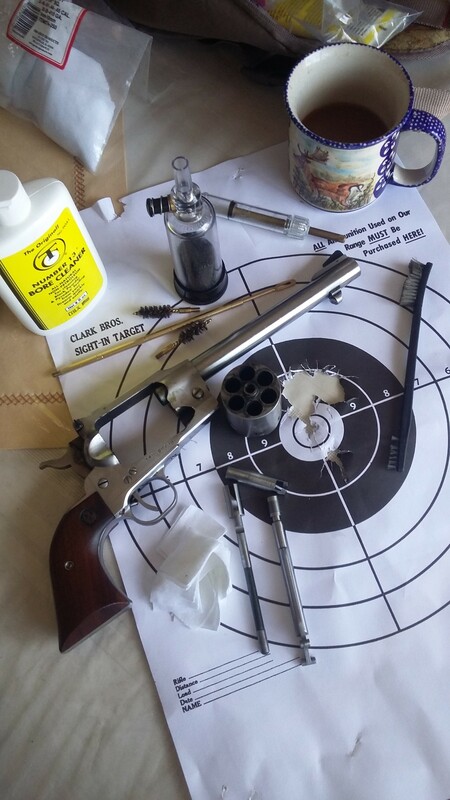 I plan to run some tests with this Uberti, using 200, 230 and 250 Gr cast round nose bullets to see what shoots best at 15-25 yards, maybe stretch it to 40 or 50 yards if everything comes together well..............'. dhansen, rob42049, Ret_Eng and 1 others like this. Fasinating thread. Although my only experience with Italian pistols is with Black powder. They are fine for fun. I have two ROA one blue and one stainless and they are seriously much sturdier and more accurate to me. 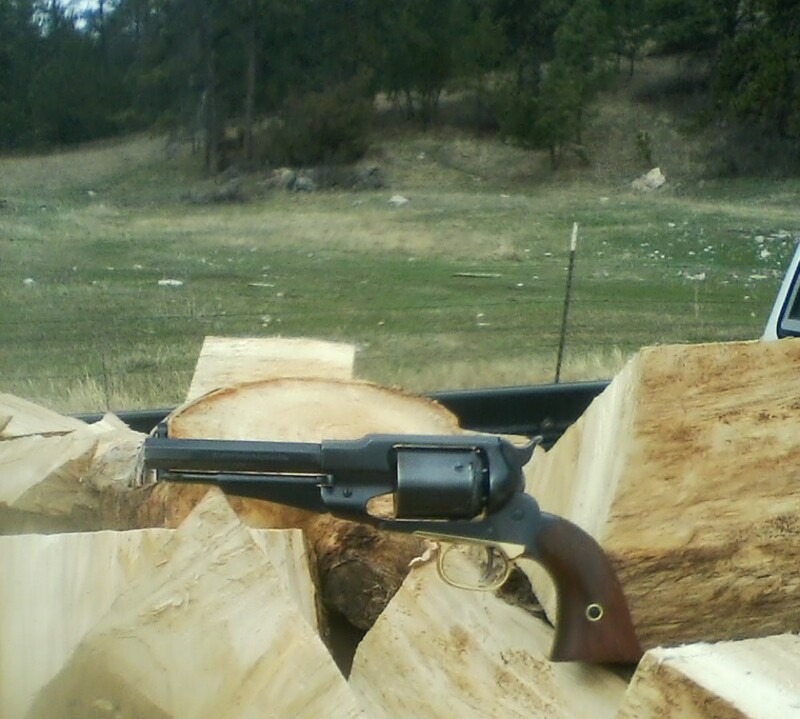 As for the Ruger Vaquero I own one in 45 LC and carry it in the woods. The New Vaquero is smaller framed than the older one. I will some day have this sight put on mine. dhansen, rob42049 and edcknives like this. Whats a ROA ?.................I tripped a few times on that Acronym in this thread, and don't know what it refers to.............Maybe more Coffee is in order? dhansen, Ret_Eng, edcknives and 1 others like this. Ret_Eng, Tomray, Da Duke and 1 others like this. 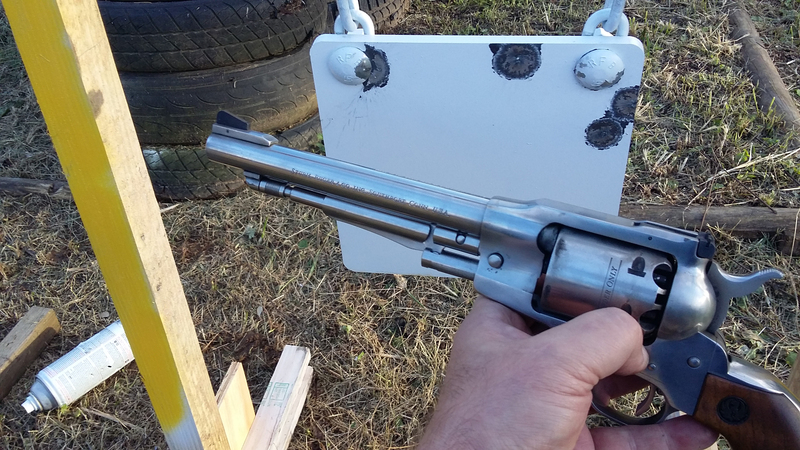 They are the most durable BP revolver ever made IMHO--but what else would you expect from Ruger? Last edited by Ret_Eng; 04-15-2019 at 01:19 PM. Tomray, Da Duke, edcknives and 2 others like this. Ret_Eng, edcknives and dhansen like this. Beauty is in the eye of the beholder. The ROA may be among the most durable and tough, but I guess I'm beholding it differently than others do. I'll take the Pietta/Uberti/Remington NMA any day. Sleek looks, tough as titanium, and accurate. The black powder patina is just icing on the cake. dhansen, M1Riflenut, Ret_Eng and 1 others like this. Someone gave me an 1858 Pietta that was all rusted that they never cleaned and let sit for quite a while. It is on a 45 day soak to see if I can salvage any of it. dhansen, rob42049, M1Riflenut and 1 others like this.